One of our family’s favorite places to go is the beach. I mean who doesn’t love to sit, relax and do absolutely nothing while the hours of the day tick by? Being on the shore is soothing and rhythmic as the sea ebbs and flows. It’s never the same beach day to day as the waves crash, bringing in new finds from the crystal waters and purging the sand of things left behind. Grief is kind of like that. It ebbs and flows and it never truly is the same day to day. Some waves of remembrance are crashing and knock the wind right of you. Other waves are gentle and soothing and pleasant. The craziest part of it all is that both kinds are necessary; just like they are for the beach. Unfortunately, many well intentioned people frown upon mourners talking about the “high tide- crashing waves" kind of moments. They somehow feel that after a certain length of time that your life should only be defined by the “gentle surf” kind of days. This is simple craziness at its best! God designed the ocean to function as it does with both, for reasons we may never know the full extent of. He didn’t need to consult anyone or have a revision done to the wave patterns because someone didn’t like the harshness that they bring to the shoreline. Nope. He knew it needed to be that way. Mourning the loss of a loved one is the same...you need to experience both. The danger comes when you stay in only one of those wave patterns and never find the beauty in the other. Yes, there is an inherent beauty in the pain that you absolutely cannot see outside of it. I feel somewhat neurotic even verbalizing it, but it is the truth. The beauty isn’t the “this feels great, warm and fuzzy” kind of emotion. It’s a depth of character that is forged into the deepest parts of your soul when you have been swept under by the trials of this life. In that place, you can fight for your life on your own and try to tread water until your strength runs out...then you start to drown. The other is to not struggle against the wave and accept what is being accomplished through it. This is the leaning into the refining work of the Master’s hand without resistance. It is trusting God completely with life and not just the small pieces you have given Him permission to manage...all of it. All your life, your people, your possessions...all. I don’t want you to think that this is some” pie in the sky” ideology that is impossible and irrelevant. No, I know it isn’t because I have lived it and struggled through the ebb and flow of it over the past three years. Tomorrow is the three year anniversary of our daughter, Kayli’s, death following a 13 year war with Ganglioneuroblastoma. 3 years. I could sit and tell you how we have grieved and grown and changed in that time and it certainly is true. But, I want you to know that while we are different versions of ourselves now as a result of her passing, we aren’t living our days being defined by our loss. We are moving forward in life with a Kayli-size hole in our family that feels familiar now. Familiar doesn’t equal comfortable or happy with...I refer to it as being used to its presence in our lives. We embrace both the crashing waves days of grief and the gentle surf days of laughter and joy as we talk about Kayli’s shenanigans or things she loved. The key is to stand in the water and find the beauty in both. Tears are cleansing and healing and a deep, deep expression of love. Please don’t fix the sad of a grieving person; hand them a Kleenex instead and the gift of your presence without words. 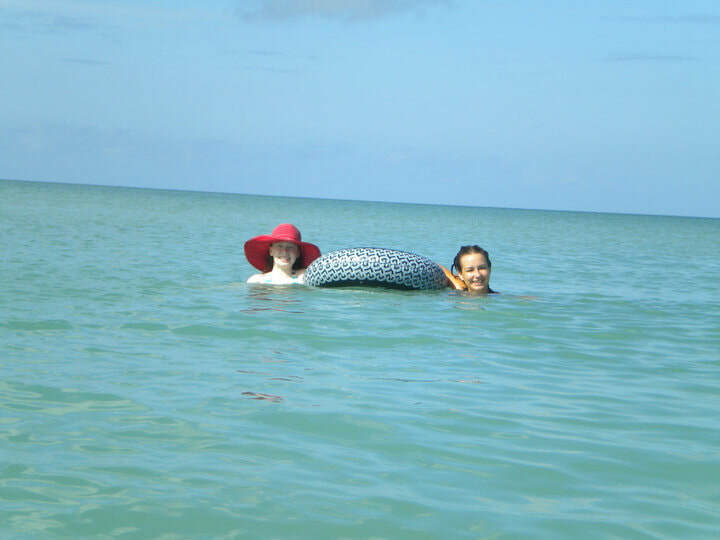 Stand in the water with them. Enjoy the gentle moments of laughter and memories as well. Share a funny story of their loved one, say their person’s name, acknowledge the journey as their journey and not one defined by how you feel it should look. This is living the ebb and flow with them. This is what the grief journey is like. Here’s the thing...you aren’t defined by one single event in your life that was either catastrophic or euphoric. Life is a series of moments and true living is done in the little moments, not the colossal ones. At the end of life, you are measured by one thing alone...who you are before Christ. This is the only decision you can make that defines where you stand when you take your last breath. Kayli said this so well herself in her goodbye video. I encourage you to click over to her videos tabs and let her tell you how you can know where you are going after you die. She filmed this a couple of months before her death. She had the benefit of knowing that she was going to die. This is not granted to most and today could be your last day...are you really ready for that? ​Thank you all for continuing to pray for our family as we move forward into another year of living life here without the presence of our only daughter. Through the moments of laughter (which seemed like would never come again) and the moments of ugly tears (which still spill out at the most unexpected, inconvenient times), we move into each new day. Michael continues to be the leader and rock of our family. He spends time with Jesus early each day and prays over the hearts of his family. He and Caleb work hard to provide financially for our family through the gift of their masonry skills. I am so very thankful for them! Caleb is 22 now and surpassed Kayli in age this year. It was a bittersweet day for sure. He is a big guy with an even bigger heart! He serves God with his musical ability and serves as a drummer on the worship team of his church. It is exciting to see what God is developing in his life for his future. Luke is 12 now and has had a very difficult year. He was diagnosed with a rare connective tissue disorder after several months of testing. He has been getting treatment and has leveled out to a better place than he was last fall. We are so thankful for our fabulous doctors at Akron Children’s that are helping him, just like they did Kayli. In spite of his health challenges, he has continued to excel in his piano playing. My boys are simply amazing musicians which I can take absolutely no credit for. Baxter, Kayli’s little dog, just turned six and continues to bring so much love and joy to our family. I think he believes he is a very furry person and not a dog at all! What about me? I am a broken mama who is trying my best to lean into Jesus each day and serve Him by taking care of my family. I continue to exercise daily (superb stress reliever), meet with some awesome ladies to dig deeper into God’s word, and most importantly...be available. Caleb’s pastor impressed upon me through a sermon the importance of being available to God in spite of yourself and your imperfections. People are more important than a schedule and so I have determined to be available for God’s use with my days. It’s easy to be available on the sunshiny days and feel like you have made a difference somehow. But God wants me Even on the ugly tears,feel-sorry-for-myself days. He uses me in spite of myself. He will use you, too, if you give your life completely to Him. Be available. ​I woke up around 4:30 this morning. I know it doesn't sound unusual to many of you insomniacs out there, but it was for me. My internal Mama clock knew that at 4:30 am exactly two years ago, the nurses awakened me from my light dozing to tell me that Kayli was ready to go home. As I lay in bed this morning reliving all those moments, it seemed surreal and in slow motion. I felt as if I was on the outside looking into that room. I saw Kayli transitioning to Heaven, her daddy and I right next to her crying, singing and praying over her. I saw Faith and Hannah and Margeaux...all watching us with hearts breaking for our situation. In the midst of the most heart shattering pain a parent can endure, I saw hope. I don't know how to adequately describe what that means other than to say it is a supernatural peace that cradles your heart during the hardest moments. I know that if God has asked my permission to take Kayli out of our lives at the age of 21, I would have resoundingly said, "Can you take something else? Like my house, stuff, car, money...not my people." He didn't need my permission. She belonged to Him first and was on loan to me. He knew the number of her days before even one of them came to be. I didn't. He knew what He needed to accomplish in her life. This is why we are created for His purposes and not for ours. Even though I know this, it doesn't mean that the gaping hole left behind hurts any less; it doesn't. For the past two years we have tried to discover how to navigate around our family without Kayli here. It is hard. Period. She left such a huge piece of herself behind and we are so thankful for the gift that she was to so many. There are still days that I have to wear sunglasses on a cloudy day when I am out and about to hide the puddles of tears in my eyes. Family functions are hard because it accentuates the fact that one of ours is missing and the other units are whole. It is felt during the little moments...no more shopping trips with Kayli, Netflix binge watching, coffee time, James MacDonald sermons and discussion, Crazy Love gifting, late night talks, girly stuff laying around and the ever present smell of nail polish( and remover) in the house. We all feel it. We all miss it and try to make the best of what we now have. We remember silly moments and remind each other of how much she would have loved or hated this or that. We remember heart wrenching moments and talk about how brave and selfless she was. Her good bye videos are a treasure beyond value to us and that she took the time to think of us in this way is priceless. Kayli: (Tears filling her eyes, holding my hand and pulling me close) "Mom, can't you please go with me?" She was referring to dying and going to Heaven. Me: (Tears filling my eyes and splashing down onto her cheeks) "I wish I could Kayli but everybody has to walk this part of the mile alone." "I will hold your hand until Jesus takes your other one"
Kayli: "Okay Mom" "Are you sure it is real?" "It is hard to believe something that you cannot see, but I guess that is what our faith is." "I will try to be brave and finish well." Me: "Kayli, I have never lied to you in your life and I know that Heaven is real. It is real because God cannot lie and He promised it to us when we surrender our life to Christ." "It's more real, more spectacular, more phenomenal than anything we can imagine here." "I am so thankful that I and your dad and brothers will all be reunited there someday." "You are the bravest person I have ever known and you are definitely finishing well." **Moments in this conversation were so hard to get through that I could barely get the words past the huge lump in my throat. It was the most unnatural, yet important conversation we ever had. A few weeks after this discussion, Kayli ran into the arms of Jesus after being ravaged by the effects of her cancer. Her body had failed, but her hope and light for Christ had grown. Disease couldn't steal it. Pain didn't diminish it. Sadness didn't overtake it. She was sure and the Holy Spirit was her comforter and sustainer right up until the moment she was free. She died at 4:55 am after a 13 year long war against Ganglioneuroblastoma. I know I will see her again. I couldn't imagine not having this hope. Please take stock of your life today. Do you have this same assurance? Please take a moment and click the videos tab at the top of this page. Please watch Kayli's goodbye video. She tells you what life is really about and where you can find the kind of hope that she had. You are not guaranteed today...this is the conversation that cannot wait. ​Tonight the missing is hard. Really hard. When it hits me this way, one of the things that gives me comfort (and tons of tears too) is to watch Kayli's goodbye video that she made just for me. I couldn't tell you how many times I have watched it now. I really don't have a number. It is the only way that I can see her speaking, moving, smiling, crying and looking into the camera which feels like she is looking straight into my eyes. It is very precious to me. It is amazing to me that someone could be so forward thinking to make these videos for her loved ones. She knew that we would need this connection to her. I don't know how she knew, but she knew. She was right. One of the things that she said to me in my video is, "I know there are times that maybe you would have rather just been a normal mom instead of giving up your own life to make mine better." Wow. She was wrong and right all at the same time. I never for one second wished or regretted the thousand of moments in her 21 years that I was blessed to be a part of. Normal is truly a relative term. I really don't know what a "normal mom" looks like anyways. Being Joshua, Kayli, Caleb and Luke's mom has been one of the greatest blessings of my life. All of the beautiful and hard times have made my life so much richer and full of a depth that I wouldn't have experienced if the waters would have been smooth all the time. It's ironic really that I am struggling now to resume some sense of normalcy to my days. My life (and our whole family's) looked and lived like a triage center for so many years that it is difficult to close that door and open another. Yet, we have no choice and march on. I think that is certainly the very hardest part...moving forward. Kayli is still a part of this family and it is a high-wire act at best to try and figure out how to incorporate her life and legacy into the one we are living now. It takes time. It takes a lot of grace. it takes a lot of patience and big love. It takes tears and joy and a muddled mess of wild emotions at times. This is the truest price of love...learning to trust God completely with the most valuable commodities He has given us...our family. So, if Kayli could read this now, here is what I would want her to know: You silly, beautiful girl...I am a normal mom. Normal moms do what I do. They love big. They sacrifice for their husbands and children. They go without because they put you first. They find joy in kissing boo-boos, rocking tired little heads, holding vomit buckets, driving kids here and there and everywhere. They cook thousands of meals, buy those special little treats, listen to the joys, heartbreaks and dramas of life. They spend time laughing loud and long. This is what a normal mom looks like. So, Kayli-I have been a normal mom this whole time and wouldn't have changed the gifting of myself for one second. I am so proud to have been your mom. I will love you always. To all you moms out there reading this, take a minute to be that normal mom. Thank God that He gave these precious ones to you for a little while. Don't squander that time being irritated at the inconveniences of life....celebrate them. Trust me on this, there are many mamas I know who would give anything for that inconvenience right now. Their arms are empty. That bedroom is vacant. That cell phone won't jingle with a text or call anymore. There will always be that empty chair at the dinner table now. Reevaluate how you are doing with your attitude. Let Jesus come in and restore your heart and renew your mind. He can do amazing things to strengthen and empower us when we yield our selfishness to Him. Just do it...what are you waiting for? Tomorrow is a fresh day. Be that "normal Mom"
I am frequently hearing about so many other people that are suffering, especially families walking a cancer journey with their children. It makes me sad. Sad for the sick person. Sad for the caregivers. Sad for the siblings. Sad for the family. Sad for the people who are on the side watching this unfold and want to help. There isn't any one thing that someone can do to ease the suffering that is present now. Unfortunately, many well intentioned people actually add to the difficulty by trying to help. I know it sounds crazy, but it is really how it is at times. I thought it might be beneficial to share some of the insights that we have learned over the past 15 years of how to come alongside a family that is in crisis. This is by no means an exhaustive list, but one meant to educate those who wouldn't know unless you have walked this journey. *This means just offering love, prayer, hugs, an ear...not platitudes that you think will fix it. So many times people feel that they need to offer words to fix the sad. People need to express sad. When you are told that your child has cancer and you are trying to wrap your mind around what is happening; words are not helpful. We as a society are uncomfortable with sadness and try to take it away from those we care about. Being sad is part of the journey. Instead of taking this part of the process from the family...come alongside them. Sit with them (if they want this). Cry with them over the loss they are experiencing. Allow them to grieve their situation and just be a listener. Even as Christians, we know that God is in control and we trust Him, but it doesn't mean that we don't need to walk through the emotions of the moment. Do not steal this part of the process from a family by minimizing it. It is huge and God will do His work in their hearts in His time; not yours. *Please, please, please don't say, "Just let me know if you need something." While this is true and intentional on your part, it is totally off their radar at this point. They don't know what they need at this point and so that can't possibly tell you how to help. Just show up. Drop a meal off at the door for the freezer. Mow the lawn. Have someone clean the house. Go to the grocery store and buy what you would buy and drop it off. Take other members for a haircut. Drop off thank you notes and stamps. Walk the dog. Gift cards, gas cards, cash...all are helpful. Whatever the mundane things are...just do them. Don't ask or say, "let me know." This is the season to give to them based on their needs and not what we think they need. Just ask if it would be helpful. The family in crisis can't come up with ideas right now. I like to say, " I am going to drop a meal off for you...will someone be there on Wed?" No thinking on their part...I did that for them. We had a couple of extra house keys made and gave them to key people so they could take care of whatever needed done. Some of our most helpful people were those who did these very things and didn't invade or stay if it wasn't good. They were the hands and feet of Jesus to us. Remember, it isn't about you right now. 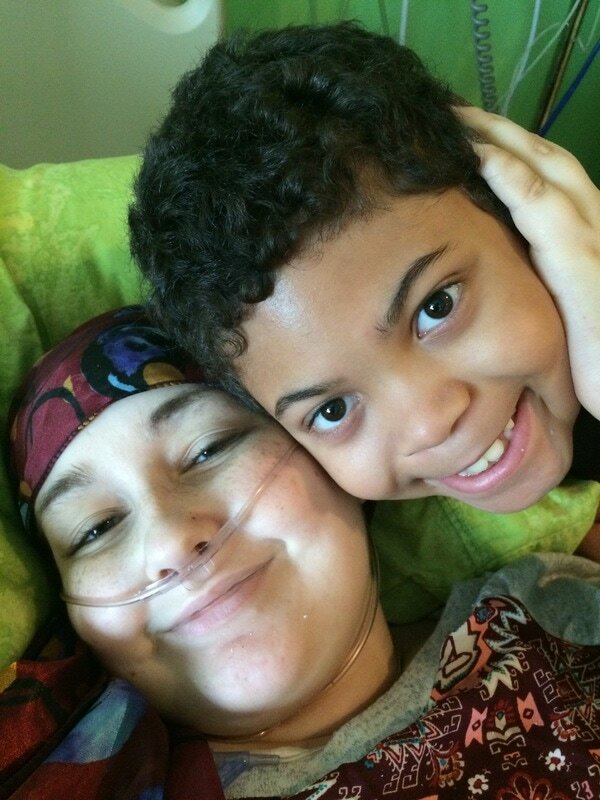 They are in the fight of their life and some days it can be hard to think clearly. The mundane things are the ones that drop quickly to the bottom of the list. Just pick up this slack. It is so exceedingly helpful. *The brothers and sisters of the sick child have the hardest walk next to the patient themselves. They are not only watching something they don't understand, but their whole world just changed too. Their mom and dad are totally preoccupied, their sibling can't play like they used to and they never know when part of their family will be gone. They don't tend to get the support they need and can feel completely forgotten. We were so blessed to have had a family (Thank you Millers!!) that stepped up and loved our boys fiercely during Kayli's long battle. This is a blessing that many don't have. Take that child to do something fun. Play with them. Talk to them and not just about them. Become a safe place for them to let their guard down. Let them act up, cry, scream, sleep or just laugh. This journey is a huge upheaval on their security and they need to be able to process as only kids can. Be the one they can let their hair down with. Don't force them to talk. Don't force them to do this or that. Let them guide you on what feels comfortable for them. Remember, they aren't sick, but the illness in their house has stolen their life too. Be aware of what negotiable things are and let the stupid things go. Period. Love them big and let God's healing flow through you. *This is exceedingly important. Never assume that you know what they are going through. Unless you have gone through this...you are clueless at best. Even those of us who have, can only relate to a certain level. Every walk is unique. Every walk presents its own challenges. Even if Great Grandma Helen had cancer at some point...it isn't the same. Now is not the time to try and identify with them. You can't. It is easy to know what was helpful for you during that time and offer it to the family, but it may not be beneficial for their particular situation. Think before you speak and don't assume you have the answers. Also, it can be frustrating for the family when lots of people become experts in your child's diagnosis. We learned to take this with a grain of salt, but in the beginning it was overwhelming. Remember this-if it were your child, wouldn't you research every possible way you could find to help them? Of course you would! They are too! People mean well, but they assume that you have never heard of this particular treatment and this may be the one that will save your child. Trust me on this. If there was one treatment out there to save my daughter, we would have sought it out and tried it. We did everything. 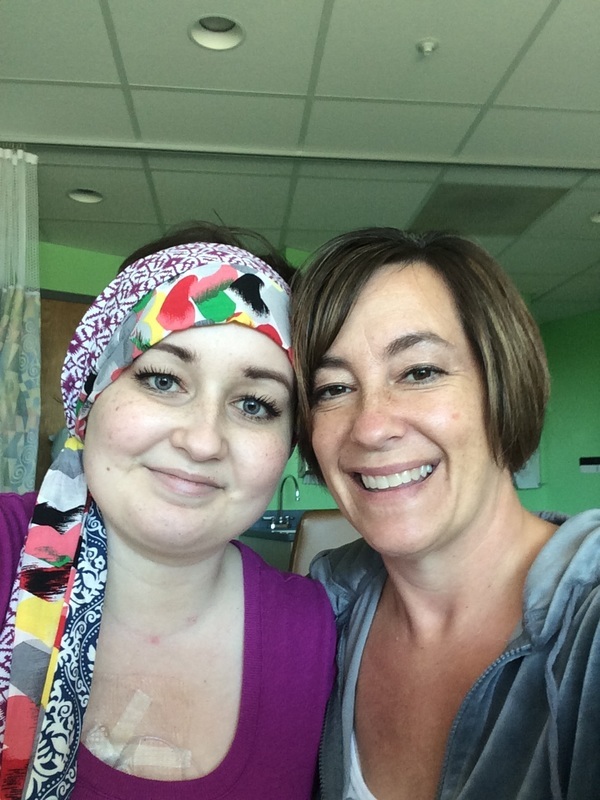 We tried every single treatment that was available to her, both medically and naturally. Cancer isn't a result of our lack of knowledge or failure on the medical profession. It is a result of living in a sinful, broken, disease-ridden place. Period. Be sensitive to this when sharing potential alternate treatments with the family. Never place the responsibility for their child's life or death on their shoulders. They are doing all they can. I am not saying that you shouldn't offer the idea of another type of treatment, but think before you share. Is this the right time? Am I sharing information that I have researched fully and understand and not just saw a blurb about? Make time to be informed before sharing. *This is probably the hardest thing to accomplish. In the beginning of a diagnosis, many people enter your suffering and come alongside you. As time wears on and the initial crisis wears off, many people fall away. They resume their normal lives and kinda forget about the battle that is still raging for this family. The normal never resumes for them. It is a new normal. A new doorway that has been walked through and a new house of challenges. They can feel forgotten at times. Periodically, pour love into them. Do the unexpected things. In this era of smart phones, you can set a reminder in your phone for once per week. Shoot them a text, a message, a call to tell them you are praying for them and are going to drop cupcakes off Tuesday at 2. Whatever it may be it...do it every so often. We are so thankful for our faithful few who would do these things. I remember how excited Kayli would be when people would show up with treats, trinkets or whatever. It isn't the stuff people. It is the being thought of that was huge. Be intentional. It really is the little things. 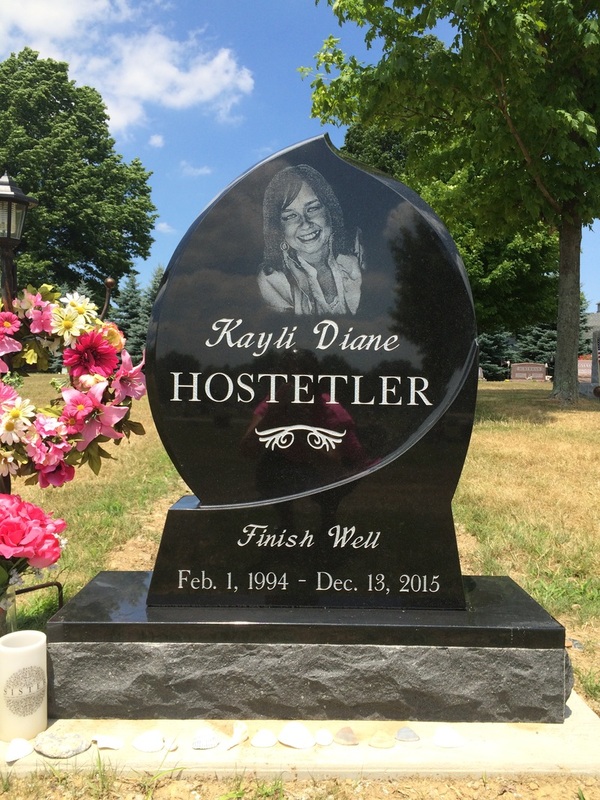 One of the greatest blessings to Kayli and our family were those who stayed the course with us. They walked through the hard, they didn't push their way in and they loved us during the hardest moments. Be that person for them. Remember this-these days will not last forever. It feels like it while you are in the midst of the fight though. They need the support when their tanks are running on empty. Don't be the person who insists on taking over....be the hands holding them up. There are certainly many more ways to reach into their lives and be love. These are some of the things that were helpful for us and made us feel the burden eased. This life is short and not every moment is ours to be in the spotlight. Be the "tech crew" for someone else. Be the behind the scenes person who makes things run more smoothly. . Be the support and cheerleader. God will equip you in amazing ways if you simply ask him. Most importantly...Just show up for them. Blessings. Tonight we had a family meeting. You know, that time where you gather everyone around to talk over some important stuff going on in the household? For us, it is kind of like a tune-up for our family to strengthen areas where we are weak and always strive to be better at this crazy thing called life. Anyhow, we were all accounted for, including Baxter, 3 adult cats, 6 kittens and the comfort of our fire pit we were seated around. It only took a moment to feel the hole...the giant place where Kayli should have been to bring her two cents to the conversation. And then it hit me. The reminders of 21 years gone by with her. The reminder why we do what we do in the first place. Spoiler alert-I am going to get real here and if you don't want to be challenged out of complacency, then shut this tab and stop reading now. This isn't going to be sappy and sentimental (even though tears flow as I write). No, this is going to be a challenge just like Kayli intended this blog to be to those who read it. So, here goes. Shortly after Kayli passed away, I was given the gift of a book entitled, Holding on to Hope by Nancy Guthrie. What an excellent read for anyone dealing with the devastation of child loss. One of my giant take aways from the book was simple yet profound. Nancy asked the question, "What do you do when you receive a gift?" She then responded that you thank the gifter for what they gave to you. She reminded me, as a bereaved parent, to not just focus on all of the immediate and future losses that I am and would be experiencing predominately, but, to look back and thank God for the gift of my child. I had 21 years with my beautiful daughter and gained so many things from being her mom. I had to thank God for these. This totally helped me to navigate through the good and ugly days and remind myself of the gift of 21 years instead of the loss of maybe the next 50 years without her here. I am relaying this to you for a reason. During our family meeting tonight, it occurred to me again about what our purpose is as parents and what it is not. First of all, it is not about us. Our kids are not here to make us look good. Our kids are not here to fulfill all of our dreams and things that we didn't accomplish during our own growing up years. Our kids are not here just to burden us and make us crazy at moments. This list could go on and on for what they are not here for. They are here as a blessing-a gift if you will. As parents, we need to be intentional in the years that we have with them. You have 18 or so years to prepare them to live life on their own. What are you doing right now-today-to spur them towards that end? You don't get a do-over if you don't like the way they turned out. Stop just living for the day you are in and get a plan. Make the most of the days you have with them because you never know the number that that will be. Trust me on this because I know. I have had to hold two of my children while they transitioned between here and Heaven and it is the absolute hardest thing in the world to do. Don't squander your days focusing on your agenda and just doing enough to get by. Live on purpose with your family. At Kayli's Celebration of life service, I had a number of people come up to me and give praise for what a wonderful job that Michael and I did raising our daughter. I was quick to correct them with this, "God has been so gracious to us in allowing us to grow our daughter's faith while making so many mistakes along the way. She was forgiving, and He was refining. For us, parenting really boils down to two things. First, point your kids to the cross every day...no amount of sports success, academic accolades, musical prowess...nothing, can prepare you for the moment that Kayli just had....meeting Jesus. There is only one thing and that is what kind of personal relationship they had with Christ while here. That is the only thing that mattered as Kayli's life here dimmed and her life in Heaven began. The second thing is this...love your family BIG! Celebrate the mundane, and never miss an opportunity to see the smallest of victories." As our family meeting came to close, I thought of what Kayli may have interjected and it reminded me of the tremendous gift we have in the videos she left behind for us. So, I popped in the slide show from her Celebration service which is a compilation of songs that express who she was, pictures of the richness of her love and life and some snippets of some of the videos she filmed and that were filmed about her legacy. It made my heart soar to hear her voice and perspectives on things. It made me so proud to have been the Mom that got to walk alongside her during her life here. I hope you will be encouraged by watching her slide show and be reminded that your life is a story. Think about it...if your life was a series of photos, songs and videos, what would it say about how you lived? Decide today what your goal is for your family. What are you doing as a parent to make the most of the training years you have with your kids? Look down the corridor of time to who they will be when they are 18. You want the best for them for sure, but what are you doing now to get to them there? Even if they are now into adulthood, it is never too late to make changes. Be the example that you want them to follow. Be humble, apologize for shortcomings you may have had during their training years and come alongside them now. For us, success wasn't determined by the size of their bank account or how many degrees they had after their name. It was one thing. The ONE thing...their personal relationship to Jesus Christ and how they live their life reflecting Him to the world. I would encourage you to give your family a "tune-up". **Kayli's Celebration of Life Slide Show can be accessed by clicking the "Kayli's Videos" at the top of this page and scrolling down to the Slide show. It is such a great representation of who she was! Grief kinda feels like a process of waking up. Have you ever been in a deep, deep sleep and someone comes and rouses you? You know that moment when you don't even know what day it is, where you are and why you are where you are? It takes you a few moments to snap out of it, get your bearings and understand the reality that you were just sleeping. Grief is sort of like that. At first...your loss feels foggy and surreal. Then as the first year races by you start to get your bearings and understand what you are coming through. After that one year mark, your reality is in your face and you realize that you are living the bad dream that you were hoping to wake up from. Yeah, not a fun place to be at all. Fifteen months ago our world changed. Fifteen months we have been waking up. Fifteen months of growing, stretching, stumbling, remembering and missing an integral part of our family unit. We feel the loss in the everyday things. Her little brother is struggling with pulling his baby teeth. He literally will not take them out...7 teeth people! He is adamant that it will hurt too much and that no one can do it; not even himself. It has been difficult for us to understand since he has already lost 8 other teeth. We pressed him to try and figure out what has changed since the others came out. His answer? Kayli pulled his teeth for him. He knew she would do it without hurting him since she knew what pain felt like. He would climb in her bed and let her have her way with his mouth. Easy. Now?? He feels the gap and is missing his big sister. There are no words convincing enough, no arguments tight enough...nothing to ease his 10 year old heart from hurting. God is repairing his heart and mind in ways we can never touch. It takes time. A lifetime perhaps. We went to Florida for part of the winter for Michael's work. We thought the change might be good for our family and wanted to see if it would help us all heal in new ways. While the climate was beautiful and we were there together (even Kayli's dog, Baxter), her absence was felt and we couldn't strike a normal balance. 1100 miles felt like a million and we all longed to be back to what was the only comfortable, normal, familiar place we knew. We missed home. We missed the place where we all connected. The place where we laughed, cried, came together with friends and family and where the thousand of little visual reminders of days gone by were at. During these weeks in Florida, God continued to teach us in our weakness. He showed us how to lean into Him even further. He prompted us to extend grace by the bucketfuls to one another and to love each other even when we felt and acted ugly. We learned that our needs were all different and we needed to be willing to adjust for the good of our family. It was hard. It was good. It was messy and rewarding. It is a winter that we will always remember as a time of growth and blessing. Following our time in Florida, Michael and I had the privilege of going on the "Love Like You Mean It Marriage Cruise" for our 25th wedding anniversary. It was hosted by Family Life Today and was amazing. We had not been on a vacation just the two of us since our honeymoon. It was way overdue. It was fantastic to be able to reconnect as husband and wife after all we have been through. We are so very thankful for one another and the deep, deep love God has given us to enjoy. Today is Kayli's birthday, the day she would have turned 23 years old. Birthdays were always special for Kayli and she loved to celebrate. Three years ago, for Kayli's 20th birthday, her church family at Orrville Grace Brethren wanted to do something special to show they cared. But it can be a bit tricky to come up with an idea that a large group of people can participate in. The Lord brought me this idea, and I LOVE how it turned out. The idea went like this, each family/individual chose a word that described Kayli and wrote it on a piece of poster board. We then took pictures of each family with their "word board" and sent them to Kayli via email, one for every day of her "birthday month." To get more variety of words we had people sign-up for a certain letter of the alphabet. The Sunday we started the project I was blown away! I was thinking it was going to take more than one week to even get all the way through the alphabet, but there was such a great response that we had gone through the alphabet once and had started a second round within hours. 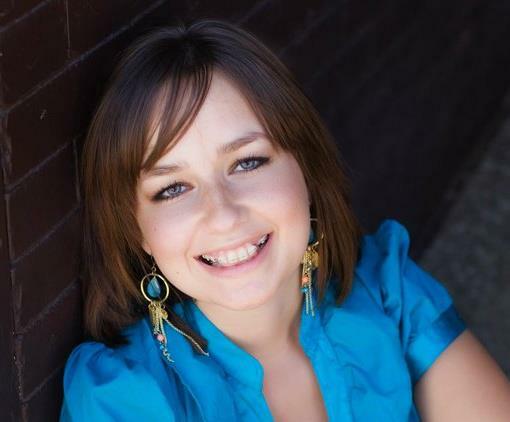 Most people from outside the church have never had the opportunity to see the pictures and I thought this would be a good way for us to look back and remember all the great qualities of Kayli Diane Hostetler. "Thank you so much for all the sweet things you all have said to me through your words of encouragement. Receiving them every day has made my days so much brighter. I miss you all so much and can't wait to see you all sometime. I greatly appreciate your continued prayers and support." Tomorrow marks one year since we prayed and sang our beautiful daughter into Heaven. One year since we have looked into her eyes, seen her smile, held her hand or inhaled deeply of the sweet smell that was our only daughter, Kayli. It seems like the longest year of our lives and a year stuck on fast forward all at the same time. We certainly aren't the same people that we were this time last year. Sure, many things are the same and still identify us as us, but there has been a stretching, a growing, a chiseling of our character that began when Kayli left us. Kayli prepared us for her dying. She took care of so many of the details that would arise shortly after her death. From her services to her things...she decided how it would all go. She even talked with us about what our life would look like after she went to Heaven. She didn't want us to cry for her or to stop living life. She wanted us to continue to love big and serve God together. She wanted us to not squander our days or focus on the "dumb stuff of this world" as she called it. In all of this, she poured out love on her family. She always wanted us to feel the depth of love that she had for each one of us. We still feel it. The videos that she made for each of us are beyond monetary value. The words she offers us- to encourage us on those days when you feel the world pressing in-are our way of seeing and hearing her now. I am so thankful to live in a day and age that we have the technology to make this available to us. So, in saying all of this there is something that Kayli could have never prepared us for...how to live without her. There is no way she could have. A giant hole entered our world one year ago and we have spent this time learning how to live with it there. We don't like the hole. We didn't choose the hole. There is nothing we can do to fill the hole in or make it go away. It is a hole. A permanent amputation to our family that we will feel until we join Kayli. We have chosen to navigate the hole in our life instead of tiptoe around it, put a fence up to keep out of it or just cover it over with useless stuff and pretend it isn't there. Some days the edges are jagged and sharp and the pit is messy to go through. Some days the perimeter is smooth and shallow and easy to get across. But, at the end of every single day is the gap where something is missing in our family....Kayli. In choosing to go through it everyday, we have learned so very much. God has used this for our good just like He promised He would. We have learned the value of a day. No schedule, no super important stuff of the day can ever replace the people that God brought you to be your family. Put down the phone. Turn off the TV or music and be emotionally present with the people in your life. Don't wait for a more convenient time to do it...now is the perfect time. Second, we have learned that everyone is hurting in some capacity. We all have mountains and sorrows. Invest in other people. You cannot take anything to Heaven with you except for people. Take the time to be that listening ear for someone else. Be that person that gives from your resources; not from your excess. Your time is the most valuable commodity there is. Give it freely. If you are too busy to be a friend...you are too busy. Thirdly, we have learned that this life is not about us. Our life is a reflection of what we are living for. Some people strive for large bank accounts and all the latest stuff. Some strive to be the best at a sport or to perform in front of thousands. Others strive to just get by. We strive to be a reflection of Jesus to this world. He created it. He owns it. He manages it and we are His. We are just passing through it. We want to impact our world for God just like Kayli did. Our perspective will never be set on the mundane again. We have passed through the fire and it refines and changes you. Lastly, we have learned how to keep running this life race with a limp. We no longer function like we used to. We are still learning a new way of doing this life without one of our members here with us. My mother lost her finger in an industrial accident many years ago. It is gone and never returning. She had to learn how to do everything different without the use of that index finger. I can remember her agony when the phantom pains would come and there was nothing she could do but buckle down and get through it. So it is for us. Thank you for your continued prayers for our family. Tears flow as remember the blessing of my beautiful daughter and best friend. 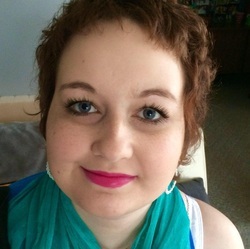 I would like to offer you a way that you could honor Kayli's legacy and encourage our family. Here goes. Have a yes day. Lighten up and seek to be joyful. Say yes for the sake of saying yes to things. So many times we say no to something because it isn't convenient for us and it is easier to bail out than to dive in. Dive in. Say yes to your kids for no reason. Say yes to doing something random and crazy. Say yes to that person who has been wanting to get together that you have been avoiding. Be intentional like she was and last but not at all least...search your own heart to find out who Jesus is to you. You cannot hide the real you from Him. He already knows. All of us will walk the same mile that Kayli did one year ago tonight. No achievements you have on this earth will prepare you for that meeting. Awards and accolades are meaningless to God. He has one question. He wants to know one thing. Did you accept the free gift that I gave you and believe in my son Jesus? Look hard at your life tonight because God already has and He knows where you are at. ​Whenever I visit the cemetery where Kayli is buried, I always notice how full of life it seems. I am not referring to people visiting there, although there usually are others stopping by as well. No, I am referring to the love poured out there. This place is filled with expressions of love to the person that they would love one more day with. These monuments each represent a life--a member of family--that was cherished and loved. I like to park some distance from Kayli's grave and take the long way walking there. It is so peaceful. A gentle breeze usually blows and the birds sing as I stroll along. I take the time to look around and notice the tender care that is given to so many loved ones buried there. Flowers and flags, statues and wind chimes--pictures and mementos...connections to the life that was given for a season. I sometimes think about their stories. I imagine them as having worked hard, smiled easy, loved big, felt the joys and sorrows of this world and known the pain of loss and failure. Some may have had hard lives, hard hearts and left a hole of bitterness behind. Others clearly died defending our nation while others left this Earth before they had an opportunity to live. Still others...like Kayli, David, Lydia and Karrie taught us that wisdom and bravery do not come with age, but with character forged by God alone. These four always stand out to me because I knew them. I knew their battles, their pain and the brokenness left for the beautiful families who nurtured them. We are now members of an elite club that we didn't ask to join or volunteer for. Burying your children is the most unnatural thing for a parent to do. In fact, the English language doesn't even have a term for a parent who has lost a child. There are widows, widowers, orphans and then nothing to describe the parent whose child has died. You not only have lost your precious one...your mini-me...you have lost all that represents their future too. Being a bereaved parent is likened to a wheel with many spokes...the components of the grief are varied and different. Yet, the hole left behind for the family is similar for all the families that visit this place. You can tell by the the expressions of love found here. I go to the cemetery for me; not for Kayli because she isn't there. Sure, her broken body is buried there for now, but her spirit is more alive than it has ever been. She is with Jesus and for this I have no words to adequately express my thankfulness. She made the decision to make Him Lord of her life and live her days to honor Him. She knew that this life...her life filled with cancer and heartache were not the final chapter of her story. She knew that Earth was just the beginning. 10 months ago, as we stood by her graveside and i placed my hand on her casket...I spoke through tear filled eyes and a broken heart, just this..."See you soon baby girl". Sorrow upon sorrow for me. Best day EVERY day for her. I will continue to go to her grave and care for it as a reflection of my love for my daughter. It feels good to do something to honor her. I never understood this so well as I do now. So I challenge you with this. Drive through a cemetery and look around. Really look. Is it full of life? Every grave there represents someone just like you. Someday it will be your turn. A stone will represent your life. What kind of legacy are you growing now that will be what remains in the minds and hearts of those who knew you? Start living today. Live life in light of your eternity. Take a look at this great illustration that gives you an idea of how fleeting our time here truly is. Hello everyone. I want to post an article that I had originally written for Kayli's Finish Well blog per her request. I wrote thosewords almost exactly a year ago now. I had no idea at the time how God was using my own words to prepare my heart for the shattering journey we are walking now. My words ring so true to me. I smile because I know that it was exactly what Kayli wanted me to write to all of you to give you a word picture of the beauty of a fierce love. Tears fall as I miss my daughter with a depth that cannot be expressed here...today the edges are raw and sharp. We are doing all that we said we would do...putting one foot in front of the other and moving forward. The chasm is truly deep and wide. Please take a minute and read the words from last fall that could be anyone's voice right now that is going through watching someone they love suffer and die. Don't be afraid to dive into their messy life right now. They need it. We need it. Please continue to pray for us as the sorrow ebbs and flows and the adjustment long. We have absolute hope of being reunited with Kayli some day...Praise Jesus for making a way! However, we also know how much the sorrow hurts for missing Kayli and the thousand ways that made our everyday with her complete. We are still figuring out how our new normal without her here is supposed to look. Nine months have passed since we said our "See you laters" and yet it seems like a second and a lifetime in the same instance. Thank you to those who call, text, stop in or reach into our lives right now. Thank you to those who speak her name and share the ways that she has blessed your life. Thank you to those who continue to pray for the four of us. Hi everyone...it's Kayli's mom. For some time, Kayli and I had talked about me writing a guest post on her blog about giving you a glimpse of her life through my eyes. Today is that day. 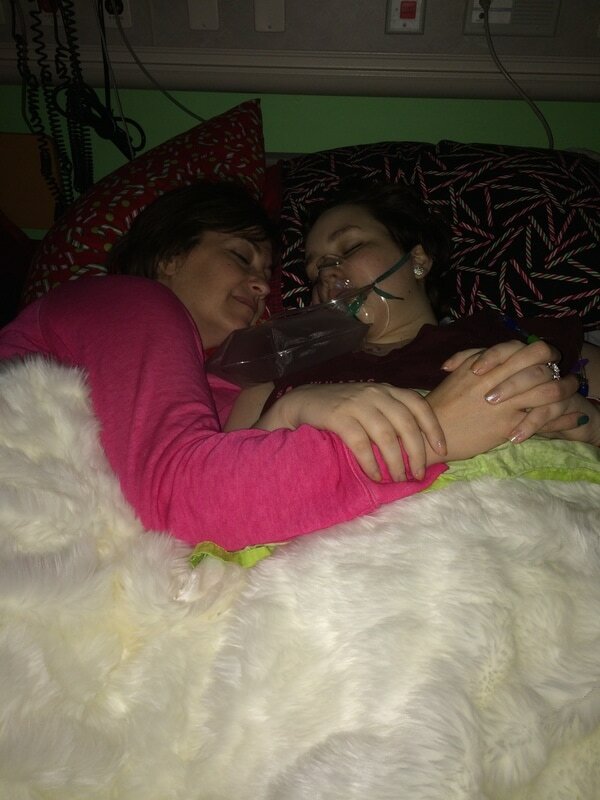 I am Kayli's caretaker 24/7 and I have the privilege of seeing the beauty, the pain and all measures in between. Today I want to let you see what I see. I see her need help with almost everything. Her independence is gone. She needs me to help her sit up, stand, walk and lay down again. She grimaces in pain as I support her back to help her sit. Her eyes, dark underneath from the constant battering of her cancer, look into my face with gratitude. I hug her and kiss her forehead. We stay like this for a minute. We savor the moment of love. Then she stands. Her back doesn't support her and her legs are weak and don't always work like they need to. If her hips are out of place we just use the wheel chair. The effort is great. The exertion of moving makes her breathe heavily and heart race. She feels overdone from the simplest of maneuvers. She smiles at me and apologizes for it being hard. I assure her that we have all the time we need and we can just take our time. We get her settled again and comfortable and then the process repeats the next time she needs to use the bathroom or get up. It isn't easy anymore. Nothing is. I give her medications by mouth multiple times per day. She can swallow a dozen pills at one time without batting an eyelash. In between these, she requires multiple injections through her PICC line. I come in, administer her medications, and hope that she will be more comfortable for a little while. She never complains to me...she thanks me. She looks at me with love and sorrow all mixed together. Love for all I am to her and my faithfulness in standing by her through every trial. Sorrow for all she feels she is preventing me from doing. Silly girl. I am loving and doing because that is what a mom does. The love and protection you have for your child isn't based on sunshine and easy days. It is based on them being a piece of you with a depth of love that only the Father could explain the intricacies of. As unnatural as our situation is, the care I give is as natural as breathing. She is my daughter and so I express love to her through walking this mile in every hard moment. Some of these moments come when you least expect it. Sometimes we talk about mundane things. Sometimes we talk about dying. Sometimes we just hold each other and cry for the next 50 years that she won't have. But then, the tears stop and we talk about what we do have. We have today. We have an amazing family unit. We have life in America with everything we could ever need. We have enough. Some days I watch her interact with her brothers and love the way they are together. She will watch shows with Luke or talk legos. She is trying to speak love to him in his language. She and Caleb talk like close friends. They also do a Bible study together which is great for both of them. Of course, she loves spending time with Daddy as well. He is reading a book aloud to her right now. He does a hundred things to help her and make her life sweeter. I am writing this from my perspective, but that doesn't mean that we don't all do many things for her. I am just giving you a glimpse through my perspective. We do it all as a team! I also see the hurt in her eyes and the tears well up when friends fail to reach out to her. She knows that they have moved on without her and it breaks her heart. She has decided to let them go. She doesn't want them to be involved in her life out of pity or obligation. She is still Kayli. So, she presses on. She isn't able to go anywhere except for the hospital. It is extremely difficult on her, but necessary. She is well loved by the staff and as they do all sorts of hard things on her, she chats with them. She doesn't talk about her unless answering questions. She wants to know about them, their families and challenges they are facing. She loves them for who they are.The journey is hard, but she is making the most of it. When they talk about the worsening of her condition, she always mentions that she is thankful for the two additional years that she has been granted that most kids never see. She is very accepting of where she is. She knows that her body is failing. She is worried about us when she goes. She told her doctors that we are really going to need them. They have assured her that they will be there for us and make sure we are doing okay. The truth is she loves us so much that she doesn't want to cause us pain. I tell her that when she dies, there will be a chasm so deep that will never fully heal. I assure her that we will put one foot in front of the other and face each day. I also remind her that with Christ in our lives that good bye is never just that...it just a "see you later". For me, I don't want to walk through this part of the journey. I want to keep my only daughter close to me and care for her and do a thousand little things that make up a lifetime. But, I know that this cannot be. I know that her life's work isn't defined by my parameters. Tears are streaming down my face as I am vulnerable and share my heart on this post. But, my hope is great. God promises to wipe every tear. He knows the pain of losing your child. He knows the sorrow so great in your heart that words can't adequately express it. He knows. We didn't sign up for this or feel happiness because we are in the biggest challenge she will ever face. Our joy comes in knowing that this life isn't all there is. When God takes her home, I know that she will have affected many. I know that her suffering was for something bigger and more important than herself. I know that He used her to show proof of His unfailing love. I know that she will truly have finished well. Cancer Fighter. Jesus Lover. Family&Friends. Blessed.